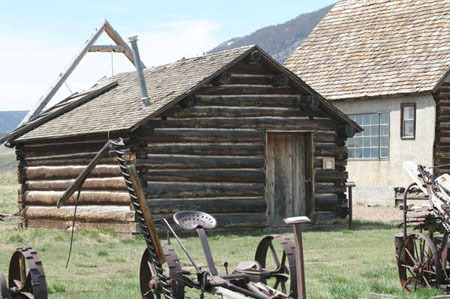 This small log building was used to house the first fire engine acquired by the Centennial Valley Volunteer Fire Department shortly after the department’s formation in 1971. One end of the building was rigged with a large pulley to open the door high enough to accomodate the truck. It was moved to the museum grounds from across the highway, and holds our blacksmith shop exhibit. Below, a photo of that first fire engine being delivered.